A series of stamps bearing Syracusean coin (above left) were issued from 1953 to 1977 as above. In 1964 on 6th December, a set of stamps (right above) was issued to celebrate the 6th Stamp Day and depicted six Italian sports stamps within its own design. 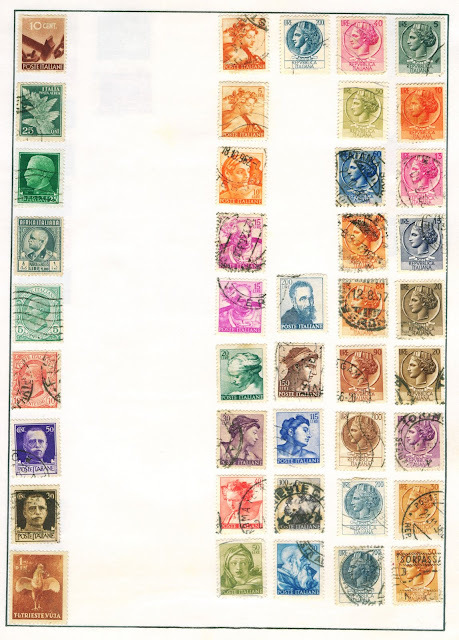 My collection of stamps of Italy contains these two series and many others stamps that were issued in the period 1955-1970 as would be recalled by the collectors. If someone has more details on these stamps, I shall be too grateful and would update this post.